Game Boy Australia: Super Pocket Music Warehouse Edition! 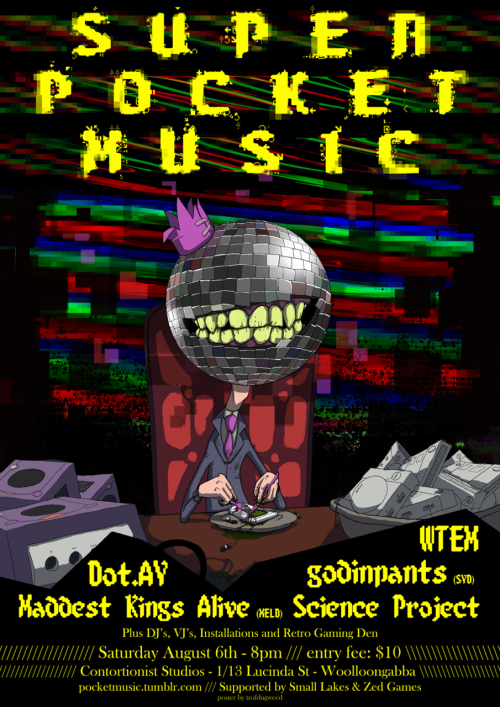 The first Pocket Music mini-festival encompassing Music, VJ's, DJ's, Installations and Retro-Gaming! Supported by Small Lakes and Zed Games. Finally there will be a bar with cheap drinks and a Retro Gaming zone that only has consoles created before the turn of the century and TV's with busted colour tubes. Follow us on Tumblr @ http://pocketmusic.tumblr.com!